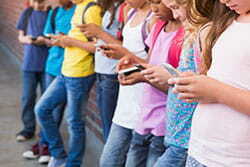 The decision to give children and teens their own phones is entirely up to your discretion as their parent, and it hinges greatly on the needs and maturity levels of your kids. If you decide to buy phones for your kids, make sure the phones and any accessible content are safe to use. Ten years ago, several simplified, kid-friendly phones were on the market with only basic calling functions; however, technology has progressed so dramatically since then that all of those phones have been discontinued (although they are still supported if you find an old or refurbished one). These days, the best plan is to give your kids phones—even smartphones—when you and they are ready and then customize what they can do according to your security and restriction needs. We’ve got some top recommendations for devices that would be perfect starter phones for your children, plus tips for finding parental controls and other layers of security. If your kids are ready to handle a phone with more features than just calling and texting, take a look at our list of recommended basic smartphones. Each of these recommendations is a fully operational smartphone but with some limitations that bring the cost down from a top-of-the-line smartphone. All three of them are unlocked, which means you can purchase them and then set them up with a network provider separately. Each of these phones offers your kids the chance to stretch their independence a little further without giving you a reason to worry. The Microsoft Lumia 550 is our #1 pick for starter smartphones for two main reasons: first, because it’s a good phone, so your child isn’t likely to outgrow it quickly. It comes with Windows 10, including OneDrive, so your child will have access to saved documents, spreadsheets, or other homework. The resolution is good, and the device has 8 GB of space but can take a microSD card of up to 256 GB. The second reason for our ranking is because Microsoft provides a range of parental controls through simply setting up a Microsoft account (for free) for the phone. As a parent, you can add your child’s phone to your account and then you can choose which websites your child can/cannot see, limit the apps your child can download, and set a maximum amount of screen time for the device. You can even add money to your child’s Microsoft account for app purchases so they aren’t using your credit card. With free parental controls and a reliable phone, the Microsoft Lumia 550 is a solid investment. All around, this is a great smartphone for kids who are ready for it. The LG K6 V phone is a great basic smartphone and the only one on our list that uses the Verizon network, which could make it your top choice if you have a Verizon family plan. At 16 GB, it has more storage than many other comparable smartphones (with the option of adding a microSD card of up to 128 GB) and comes with up-to-date Android software. The phone also has a unique rear button feature for power and volume control. Although the phone itself doesn’t have any extra parental control settings, Verizon offers several options for managing and restricting phone usage. Several free blocking services allow you to completely block apps, numbers, email addresses, and web domains, or you can sign up for the FamilyBase service. FamilyBase gives you more extensive control and even more options for blocking, setting limits, and restricting phone usage; however, there is a monthly charge of $4.99 per month after a free 30-day trial. If that fits into your budget, though, this phone would be a great addition to your Verizon family plan. Dimensions: 2.8 x 5.7 x .3 in. The Motorola Moto G3 phone earned its place on our list because it is a good, durable phone that qualifies as a starter smartphone. Like our #1 pick, its high-quality features mean that your child is likely to be satisfied with it longer, so it’s worth the money. It comes with an Android 5.1.1 OS and 4G LTE speed, and you can choose between 8 GB or 16 GB of storage. As an added bonus, the camera is much better than the camera on many comparable phones. You can choose from ten colors for the back of the phone to make it more personalized to your child, and best of all, it is waterproof and meant to withstand scrapes and scratches. All of these features, especially the built-in durability, earned the Moto G3 a spot on our list, but the lack of built-in parental controls put it last. However, a number of Android parental control apps would work perfectly on this phone, or you can use a service from the provider you choose. This starter smartphone is ready to be handled by your adventurous kids. 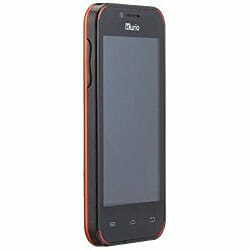 The Kurio smartphone has all the built-in filtering you could want to make a phone safe yet fun for your kids. The extensive parental controls include flexible internet filters, app management, usage and schedule limits for calls and texting, and more. You can track your child’s phone and set up geofences or safety zones to alert you if your child crosses one of those fences. There’s even an SOS feature (pushing the power button three times) that calls emergency services if activated. Unfortunately, Kurio no longer manufactures the phone, and it’s is not widely available, though you can find it online and at some retailers. Because of that limited availability, the Kurio Phone is just an honorable mention on our list in spite of its impressive parental control settings. The other drawback is that the phone itself is rather limited. There is only 4 GB of space on the phone, the Android OS is outdated, and the screen has pretty low resolution. 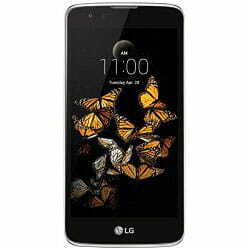 The phone is unlocked and can be used on the AT&T, T-Mobile, or Sprint networks, but only at a 3G speed. In spite of these limitations, we wanted to give it a mention as a phone that will allow you to give your child exactly as much freedom as you feel comfortable with. As you’ve probably noticed, all of our recommendations are Windows or Android phones. There isn’t anything wrong with iOS phones; on the contrary, they are excellent phones, but that usually translates into higher cost and more features than you need in a starter smartphone. However, if it makes sense for your child, and especially if you can find a previous generation of the iPhone (such as an iPhone 4), this is a great option. iOS devices have built-in restriction settings that let you to decide what content and apps to allow. You can also change the privacy settings and account information and protect it all with a specific password that you set. And of course, you can install additional parental control apps to make sure your kids stay safe on their phones. If you are looking for an alternative to an actual phone but still want to be able to contact your kids, there are several simple devices that are essentially cell phones your child wears. Each one requires a service plan and monthly service fees, just like a regular phone, but they are excellent choices for children who might be prone to losing things or aren’t ready for anything beyond the ability to call home. We want to mention two devices in particular: the LG GizmoPal 2 ($79.99; view on Verizon’s website) and the FiLIP 2 ($149.99; view on website). Both are wristwatches with basic calling features and a limited number of preset contacts so you have total control over who your kids can call. They are extremely kid-friendly and durable, perfect for your littlest ones. Another possibility is the KISA (Keep It Simple Always ) phone (view online here), which looks like a smartphone but only uses raised buttons to send or accept phone calls. It’s light enough to wear on a lanyard and simple enough for even young children. At $249, it’s a bit pricey, but it’s meant as a long-term investment. Check out additional suggestions in our GPS Tracking Devices for Kids article. Since every family situation and budget will be unique, we have a few more suggestions for keeping your kids’ phones safe in whatever phone situation works best for you and them. Use a parental control service. In addition to Verizon’s FamilyBase services, all of the other major cell phone service providers in the U.S. (AT&T, Sprint, and T-Mobile) offer parental control services that you can add to your plan for a monthly fee. This is could be a great option if you are adding a new line to your family plan but need to limit your kid’s usage. Plus, there are other third-party services, such as Kajeet, that give you the ability to block numbers, limit when and for how long your kids use their phones, decide how much children can spend on apps and games, and give you a way to track your kids via GPS. Read our other ideas on how to use your cellular provider to keep your kids’ device safe. Download parental control apps. Similar to using a parental control service, you can also download parental control or kid mode apps. This can be a less expensive and, with the right app, more effective option than using a service plan. Dozens of these apps exist, so look for ones that have the specific features you need. Read our recommendations for the best parental control apps and softwares to keep your kids’ devices safe. Use a prepaid phone plan. Instead of adding a new phone line to your existing plan, consider getting a prepaid phone plan that has a set limit on minutes, texts, and/or data. Once your child reaches those limits, service stops unless you purchase more, so it provides some automatic usage limitations. There is a wide range of phone types with prepaid plans, so you can find a phone both you and your child will like without investing a ton of money or signing a long-term contract. As a parent, only you can decide when your kids are ready for their own phones, and with our recommendations you’ll have a great place to start. Keep in mind that you always have the option of getting a basic phone or using parental control services or apps to make you feel comfortable with your child’s phone. Weigh in on your experiences with kids and cell phones in the comments and let us know what useful phones we are missing from our lists.